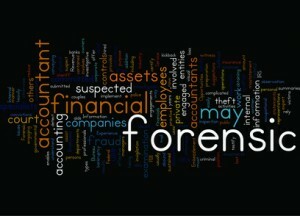 At Fraser Russell we have particular expertise and experience in dealing with forensic accounting cases. We are able to offer responsive cost effective forensic accountancy services led by an experienced expert witness who has been in court on business valuations, commercial disputes, criminal and fraud cases, insurance claims, matrimonial relief cases and personal injury claims. However we believe that court is the last resort so are able to assist with mediations, expert determinations and arbitrations. Fraser Russell directors and staff are used to dealing with and helping to resolve the cases where other firms may feel they have little chance of identifying circumstances and effects on quantum relevant to the case. We take the time to understand the business disruption caused by the circumstances and the practical options available whether working with individual clients or businesses. Whether you have a loss of earnings, a loss of profits, a business valuation need, a contract dispute, a confiscation of assets claim or a fraud, Fraser Russell can assist. Contact us today or telephone on 0121 _647 5030 to find out how we can tailor a package to compliment your business or personal activities at a price that is guaranteed to be competitive. Although based in Birmingham, West Midlands, our Forensic Accounting services are used by clients throughout the whole of the UK and beyond. Don’t forget to subscribe to our Newsletter for all the latest updates and please feel free to interact with us via our Social Media sites and Blog.